The most powerful healing substances on this planet are masquerading as foods, and this is all the more true for fruits. I’ve already written about The Amazing Healing Properties of 13 Common Fruits , including lemons, but it deserves its own mini-article for a number of reasons. Here are 12 reasons why it deserves respect as a cutting-edge medicine, and not just something found in refreshing beverages or as an indispensable ingredient in a number of culinary recipes. It Can Lower Blood Pressure: Simply smelling this fruit has been found in lower blood pressure. It Can Lessen Constipation: In combination with rosemary and peppermint essential oil, the smell of lemon has been found to relieve constipation in the elderly. It Can Remedy Bad Breath: In combination with tea tree and peppermint essential oil, it can reduce malodour and sulphur compounds in the breath of intensive care patients. It Can Reduce Inflammation: Lemon mucilage has significant in vivo and in vitro anti-inflammatory effects. It Can Protect Against Cholera: Lemon juice is a biocide against Vibrio cholerae, the pathogen that can cause cholera. It Is A Powerful Antioxidant and Prevents LDL Oxidation: Excessive oxidative stress is a contributing factor to accelerating aging, inflammation and a wide range of acute and chronic health conditions. One of the primary reasons why LDL cholesterol can cause heart disease is that it oxidizes LDL cholesterol, resulting in artherogenicity (the ability to damage the inner lining of the arteries). Lemon is a powerful antioxidant and is capable of preventing LDL oxidation. It Can Help Lift Your Mood and Reduce Anxiety: Lemon oil possesses anxiety relieving (anxiolytic), antidepressant-like via modulation of neurotransmitters. In addition, lemon is also one of the most concentrated sources of food vitamin C on the planet. 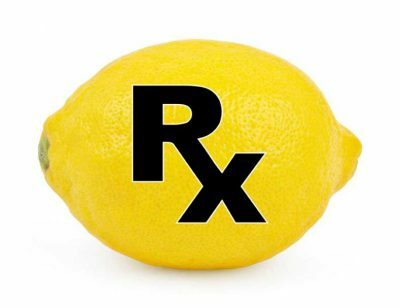 Unlike ascorbic acid – which is the synthetic form of vitamin C, commonly derived from GMO corn – lemon contains all the essential cofactors needed to provide the body the means to utilize it, and maximize its effectiveness in disease prevention and treatment (Pssssst. Please don’t tell the FDA, since its not approved to ‘prevent, treat, or cure any disease,’ and they wouldn’t’ look kindly on this statement).